MOTO 4 RACE is conceived for highly sports conditions. Its very high quality formula will take you past your limits and boost performance of your engine. 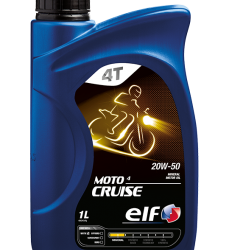 * ELF MOTO4 RACE 10W-60 is a lubricant that is particularly recommended for all types of high-performance 4-stroke engine motorcycles, in compliance with the API SL and JASO MA2 international standards. 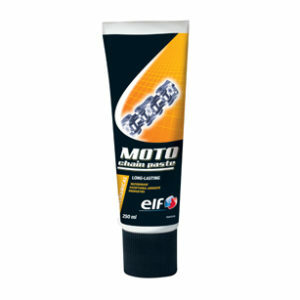 * ELF MOTO4 RACE 10W-60 meets the requirements of 4-stroke catalytic converters. The manufacturer’s recommended oil change intervals and the required minimum viscosities must be complied with. The use of ELF MOTO4 RACE 10W-60 for competition requires more frequent oil changes. 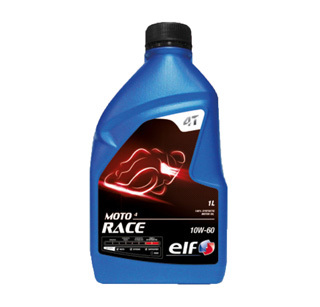 ELF MOTO4 RACE 10W-60™s composition is perfectly compatible with lead-free fuels. * ELF MOTO4 RACE 10W-60 has successfully undergone severe testing in competition. For many years Elf has led the field in terms of expertise and innovation in tribology on the international circuits, its know-how guaranteeing the superior quality of ELF MOTO4 RACE 10W-60. The formula complies with international specifications. Its 10W-60 viscosity increases the resistance of the oil film to extreme variations in temperature. 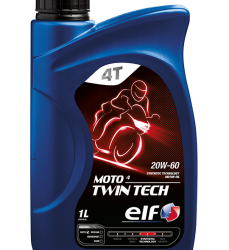 * Engine cleanliness, maintains power: ELF MOTO4 RACE 10W-60’s fully synthetic formula, has exceptional resistance to oxidation at high temperatures. 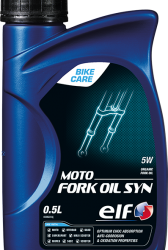 Its selected additives and 100% synthetic base oils prevent the formation of deposits and maintain hydrodynamic lubrication. Your engine stays clean and retains all of its power. maintaining its fluidity at low temperatures. The HTHS viscosity (bearing viscosity, high temperature, high shear) of ELF MOTO 4 RACE 10W-60 provides users with ideal performance in extreme pressure conditions. This flexible viscosity protects your engine thanks to its anti-wear properties even at the highest of speeds and in extreme load situations.